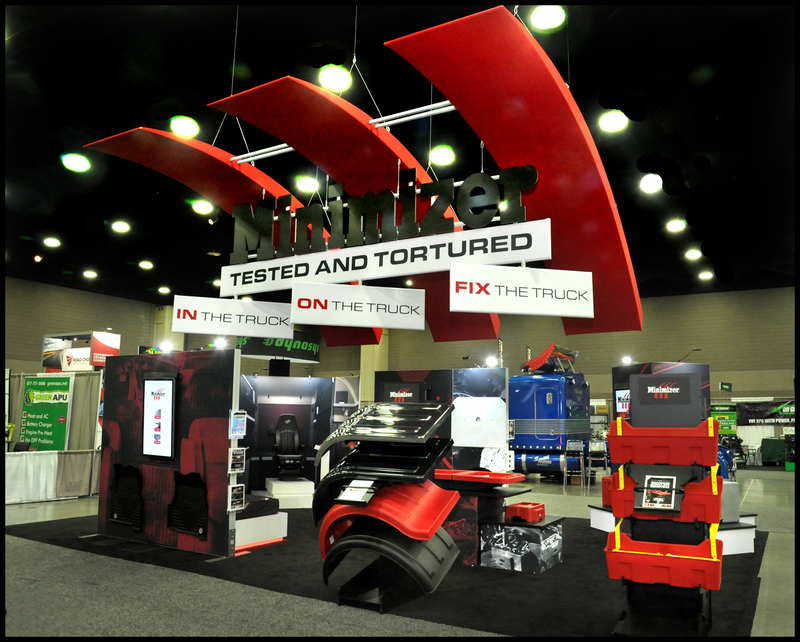 BLOOMING PRAIRIE, Minn. April 2, 2019 – The long-awaited debut of the new Minimizer trade show booth was a smashing success. "We're really excited about this," Minimizer Director of Marketing Steve Hansen said. "The feedback has been really positive. The booth design is certainly unique and stands out in the crowd." The ‘In The Truck' section includes full seat and mattress displays so customers can test those products. They can also engage with large tablet-inspired devices that display photos, videos, and information for each of Minimizer product lines. "We wanted to make sure that people could walk into this booth and get the full Minimizer experience, whether they're interested in testing a Long Haul Series seat or mattress, or watching videos of the fenders or floor mats," Hansen said. "We needed a space to meet with fleets, end users, and distributors," Hansen said.